At ZigZag, we recognise that little skiers need extra attention and a fun, caring approach to ensure their ski experience is a happy one. Our new “Mini Mouse” Group is a nurtured learning programme especially designed for children aged 4 to 5 years of age. Little beginners benefit from reduced sized groups of 4 to 6 children led by ZigZag’s experienced, child-friendly instructors. 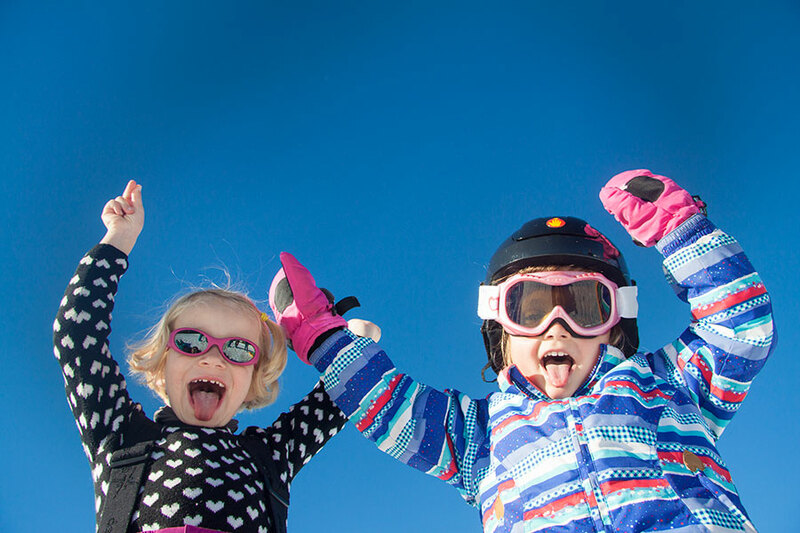 Mini Mouse lessons are taught on real ski slopes (not in an enclosed children’s garden), offering your children the opportunity to make genuine progress during the week. Happy children learn faster, so our primary goal is to ensure that your children have a great time. At this young age, technical progress comes secondary to enjoyment. The instructor will include play time in the lessons, so your child associates ski lessons with fun and is eager to return. Conscious that attention spans and energy levels can wane quickly in cold conditions, the instructor will take rest stops as often as necessary to ensure the experience stays entirely positive. The Mini Mouse Group is ideal for children aged 4 to 5 years of age who are new to skiing, or have some previous ski experience. These lessons are designed to be fun and stress-free. Our goal is that your child has a wonderful time and picks up some ski skills along the way. Children under 4 years of age need 100% of an instructor’s attention, so for 3 year-old children we recommend our Tiny Tots private tuition. Children aged 6 years and older can enroll directly into our reduced size children’s group lessons. Mini Mouse Group lessons start and finish at the same time as our standard children’s and adults’ group lessons, at the same meeting point. The goal is to offer parents a convenient option for young skiers (that might just enable Mum and Dad to enjoy a bit of precious ski time for themselves!). Select the dates of your stay below to view availability and to book via our automated reservation system. If the dates or availability shown here don’t suit you (or if you’ve simply got questions), please feel free to contact our office to make a booking by email or telephone. Select ‘Book availability’ to reserve specific dates.